When Maggie Smith delivers her lines on Downton Abbey, the world stops to take in every tiny word. As the Dowager Countess in Downton Abbey, she has stolen the hearts of people all over the world by delivering her lines in a most witty way. Don’t you just love her? Backing up, when Downton Abbey premiered no one could believe a show like this would take the world by storm. 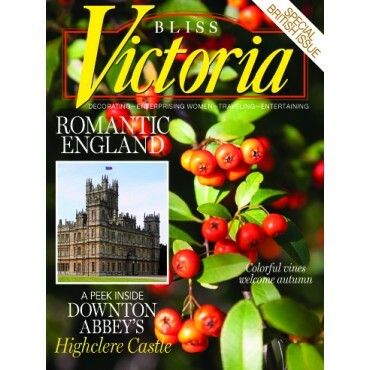 One of our magazines, Victoria, featured a story on the costume designer of Downton Abbey, Susannah Buxton. Her gift for fashion and historical accurateness is stellar. One of the major reasons people love the show is the outstanding fashions. I actually wish we dressed like that again…so feminine. But my goodness all they did was change clothes, eat lavish meals, and walk in the gardens. Where can I sign up for that lifestyle? Oops….they didn’t change clothes; they were dressed by maids and valets. Ok, back. When our article in Victoria was published, we received an invitation to come to the Winterthur Museum in Wilmington, Delaware, to see the exhibit. This past week, that is exactly what I did along with Barbara Cockerham, Victoria’s editor. We were like teenagers heading out on a trip without parents—all smiles. Apparently there were hundreds of people who had the same idea. When we arrived on a rainy, dreary day, we expected to have the place to ourselves. But instead we encountered lines of women wearing “Downton” hats who came in groups to see this amazing collection. And everyone there was speaking “Downton.” The curator told us that they could have never anticipated the response to this exhibit. People are coming from all over the country. I really couldn’t believe that we were seeing the actual clothes from the show. The exhibit was wonderful, and the clothes are stunning. In fact we were so close we could see the actual stitching on the garments and photograph them. Barbara pointed out that they looked totally different on mannequins, but the garments are so beautiful down to the last detail. One of my favorite garments on exhibit is the embroidered coat that Cora, Lady Grantham, wore to Edith’s wedding. I got close enough to take a few photos of the hand embroidery on the silk coat. The Dowager’s lace jacket that has been seen in several seasons was elegant. What a work of art! This exhibit runs through January of 2015. If you are a Downton fan, don’t miss this. You can visit the museum’s website for the details. My favorite outfit of all time is the white suit trimmed in black that Cora wore to the Flower Show. Oh my heart stopped when that scene came on. If you missed this special Downton Abbey issue order now! What is your favorite outfit from Downton Abbey? Or what is your favorite scene? I adore Downton Abbey. However, the exhibition comes no where near my hometown. So, that means I get to pop in a DVD and watch it over and over again! Rethinking the whole idea of letting my family keep the casual dress on this past Thanksgiving. I donlt think amy of us liked it at all. We go all out with china, silver, china adn food! Wearing just our daily clothes took the shine of just a bit! I also have EVERY single copy of Victoria from the premier in 1987 to the most recent. I find the magazine is timeless. I read old issues each month and always find something new again to treasure. Thank you so much for bringing it back when you did. I had missed it so much since it was my favorite. I enjoy the show Downton Abbey very much. The costumes are just lovely. I wasn’t born yet when hats gloves,parasols, muffs and fans etc. went out of vogue. How I wish they would all come back along with more feminine clothing. My daughter and I loved the show Road to Avonlea ( Anne of Green Gables)i when it was on TV and I am always on the lookout for any show that features clothing of times gone by. I wonder if everyone who liked these styles would just wear them maybe others would too. I was secretly hoping that Downton Abbey would launch a resurgence of these styles since it is so popular. Thank you again for Victoria, it is a welcome respite from a hectic world. Good Morning – oh my word!!!! I loved the exhibit. My husband took me to see the exhibit a couple of months ago. It was one of the nicest surprises next to him surprising me with the Jackie O exhibit! Like everyone else I am having withdrawals!!! Thank you so much for this. I live for this kind of embroidery. Had to work on our home in the country today and came home to this. Made my day! Just beautiful. She and I love the show and Victoria magazine. My friend’s daughter lives in Conn. and works at the Winterthur Museum. She just visited her and went to the Downton Abbey exhibition. She said they compared life in Great Britain and Downton Abbey during the same era of the Duponts at Winterthur, it was awesome and very well done. She gifted me with a bag of the Winterthur’s Afternoon Tea, which is very good. I was also given a Costumes of Downton Abbey brochure. I watch the series diligently and love every minute of it. My husband and I just bought a house about 10 minutes from Winterthur and I’m going to the exhibit on Friday with my sisters. The area is beautiful – you all should visit, and while you’re there, definitely go to Longwood Gardens, another beautiful place to see. The area has so many historical sites. What an amazing opportunity! That embroidery is unbelievable. Thanks for sharing! What a wonderful opportunity. The clothes of Downton are truly stunning and as much a part of the cast as the actors. I am having withdraws. I enjoy the show! To see the costumes, how wonderful! What a treat to be able to see all of those beautiful clothes! Alas, I am on the west coast and too far away for a quick trip. I think Lady Mary’s clothes are my favorites. Either her clothes are more to my taste or Michelle Dockery just makes them look so elegant. We visited the Downton Exhibit during the very first week … a “must see” for ALL Downton fans and the “hopeless romantics” as well ! Winterthur Museum is lovely and this Delaware/Pa area has so much to offer for a get away weekend . How does one choose their favorite outfit ?There are so many gorgeous ones to choose with sumptuous fabrics and trims . My vote would have to be Mary’s engagement dress when Matthew proposes marriage … such a beautiful and dreamlike scene ! Oh … I forgot … I loved the display case with the Ladies gloves . How I wish that fashion would become vogue once again …so graceful , so feminine ! Love Downton Abbey, love The Ribbon in my Journal, Love Victoria magazine and love that we all share the same loves. I had the pleasure of going to Winterthur last week, mainly to view the Downtown Abbey exhibit. It was better than I expected – loved the short videos from the show that they had at several of the displays showing the costumes “in action.” I agree with all of you ladies who commented on how people dress today compared to years past. Everything has become too casual and accepted these days. Some people just don’t care how they look in public! Thanks for this Journal. I look forward to it every day. I’m like April S – I have my stash of Victoria and pull out the past issues of the current month. I am sure you will agree that the back issues never seem dated! I have purchased the dvds. But there is something wonderful about holding the magazine in my hands. I too love Downton, the fashion and accessories and am lucky to live under 40 miles from Highclere Castle in Hampshire where it was filmed, it is as beautiful in real life as on the tv. The Lady Dowager reminds me of my Grand Mama, she would always dress for dinner and expect us her visitors to do the same. Sadly she passed in 1969 and then the social niceties slipped some what, except we never eat in front of the tv on our laps, always at a table and yes I do use a tablecloth and linen napkins. At special occasions everything is served from china dishes and my DH and I regularly have afternoon tea on a tiered plate with a large pot of fresh brewed tea (not tea bags). Think the teas served at The Ritz, Claridges and Browns has brought this special time back and love nothing better than cool cucumber sandwiches on a hot day. Thank you for your inspirational post for me to get back to my drawing board and sewing machine to add my ‘Downton Collection’ to my product line. slacks!!!! Thank you for sharing the beautiful pictures!!! Lucky you! It is a toss up as to whether I am more obsessed with Downton Abby or Victoria Magazine. I certainly enjoyed both magazine articles on Downton/Highclere Castle and I do hope that there will be more articles in the future, especially on the costumes. I am enjoying the pages in your journal! At this moment I have on flip flops and matching capris, much rather be walking in an English garden with one of the summer dresses from Downton. Love anything English especially Downton Abbey! Love your post! Read this article and loved it! I never miss an issue. I have everyone since Victoria launched. Each month I take all of the back issues for that month out and re read them. Pure joy! Sorry, I didn’t realize I had already subscribed to your blog. Still trying to get used these devises and at my age it’s no wonder I know how to do any of it but I’m trying. Not sure if you got my comment about Downton Abby I sent a few minutes ago or not. Love, love, love the clothes from this show! I wish the clothes of today reflected more of the beauty and craftsmanship that these do. Thank you so much for sharing this with us, how lovely! I am enjoying the ribbon in my journal so much!